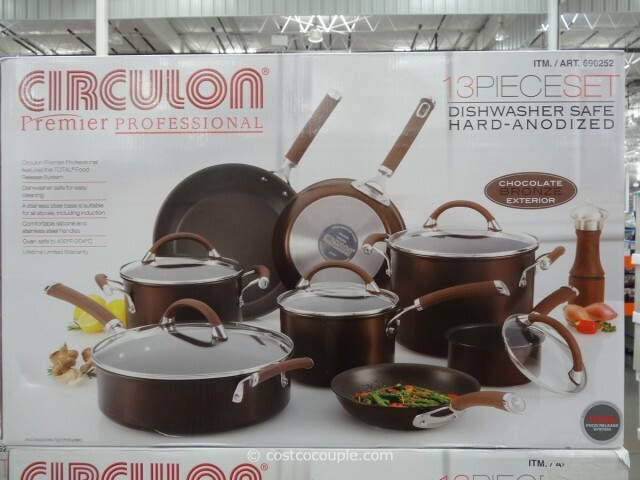 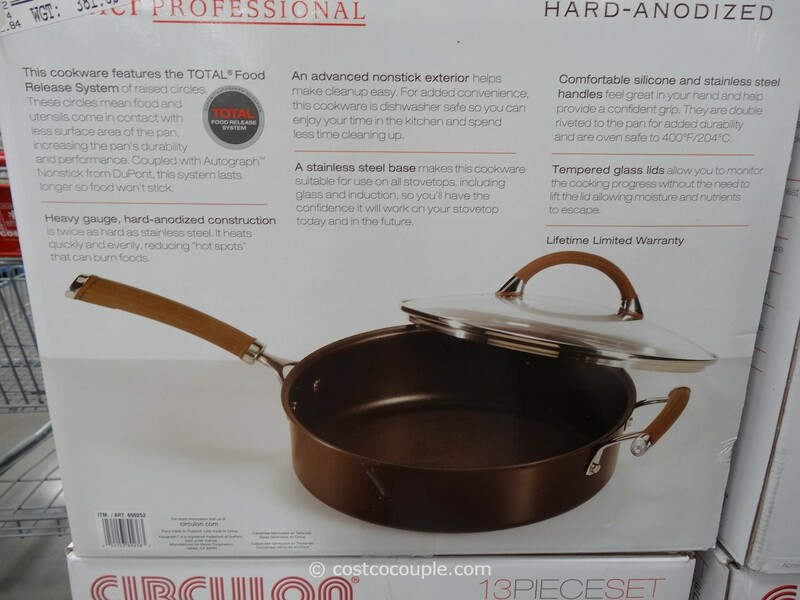 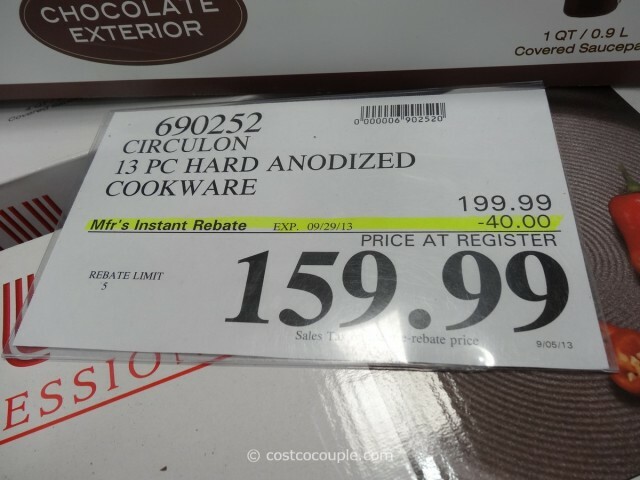 The Circulon 13-Piece Hard Anodized Cookware Set has Dupont’s Autograph non-stick coating and an interesting chocolate bronze color exterior. 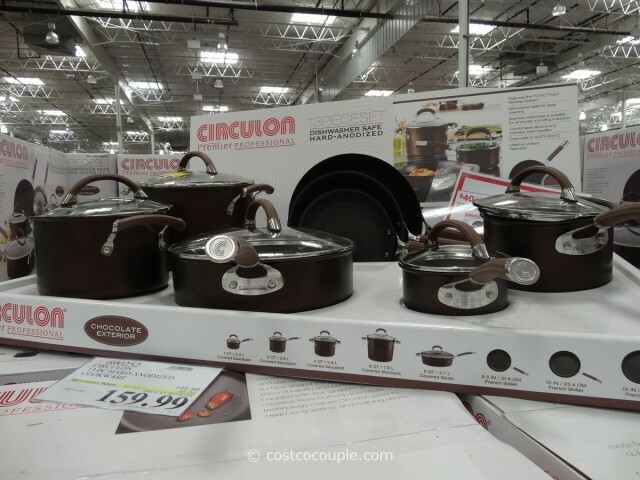 The Circulon 13-Piece Hard Anodized Cookware Set is normally priced at $199.99. 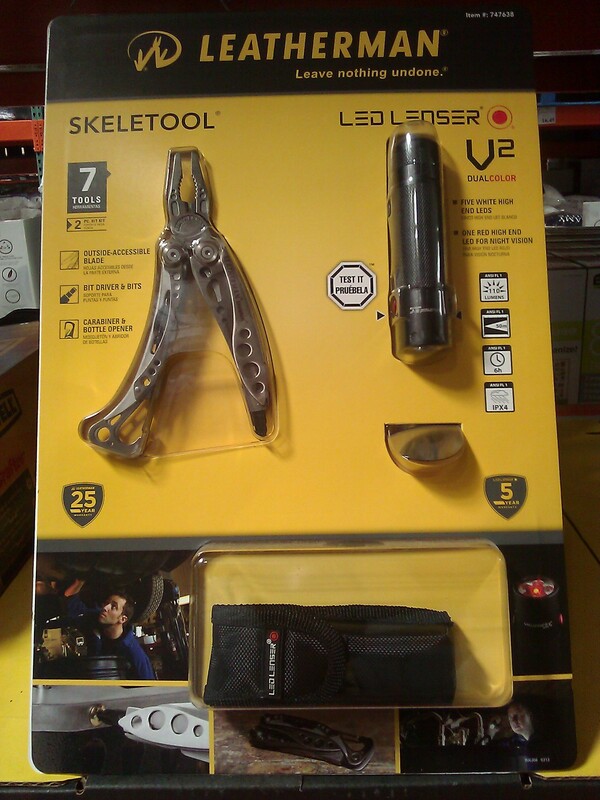 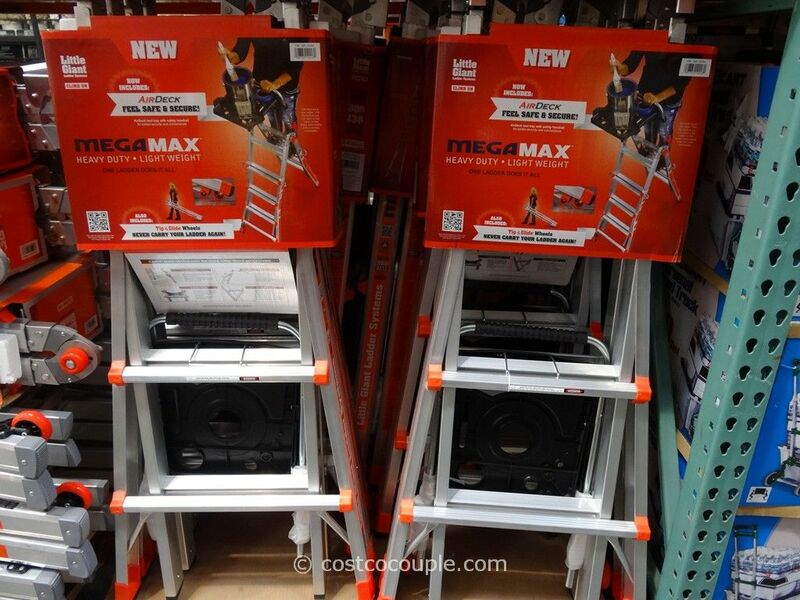 There’s a $40 instant rebate in the September Coupon Book which reduces the price to $159.99. 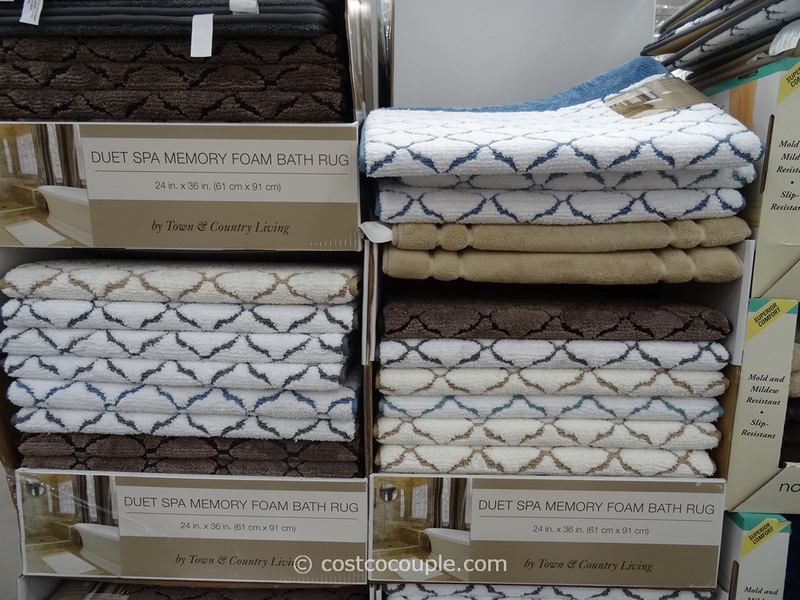 The discount is valid from 09/05/13 to 09/29/13.